Here’s a quick explanation of some of the main features and components of the new tool. Cloud9 includes the Ace Editor tool at its core, which is intended to help users write and edit code quickly and easily. It has all the features you’d typically expect with an integrated development environment, including live syntax checking, auto-indent, auto-completion, code folding, split panes, version control integration, multiple cursors, and selections. But it also includes a few other features that are less standard, such as faster processing speeds, more than two dozen built-in themes, and built-in support for more than 40 different language modes. 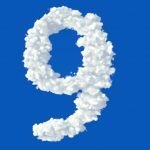 The AWS Cloud9 IDE is cloud native, so the flexibility and functionality that comes with running an IDE on the cloud comes at no additional cost to users. The platform also lets you use some of the other AWS platforms and other tools that might benefit your project and integrate those functions right into the IDE. For example, users have the ability to work on a serverless application using lambda functions and similar tools. AWS CodeStar is another popular tool that you can integrate. CodeStar gives you a unified experience for building, testing, deploying, and managing applications using a whole suite of AWS services. With Cloud9, you can also provision an environment to develop your application using just a few clicks. Finally, AWS touts the powerful collaboration tools of Cloud9. These features include the ability to invite an IAM user to your environment with just a few clicks. You can also see what files your other team members are working on, including where their cursors are. 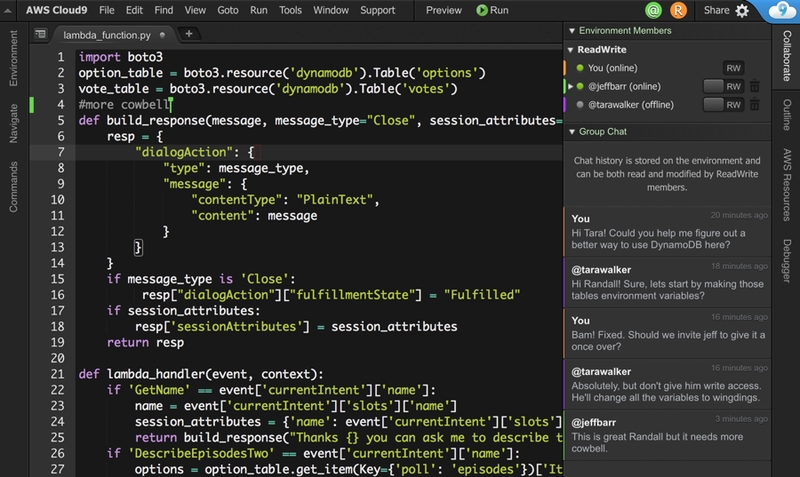 And of course, there’s a chat feature you can utilize to communicate while you develop together.